Catarrh is a type of discharge from the back of the nose that drips down the throat. The sensation is distressing and often people will seek help to have it treated. Catarrh is infected mucus that tends to smell and taste unpleasant. 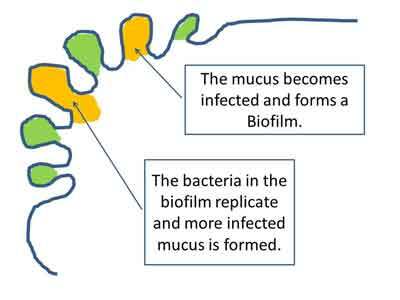 Patients can have catarrh for many years because of the formation of a biofilm. 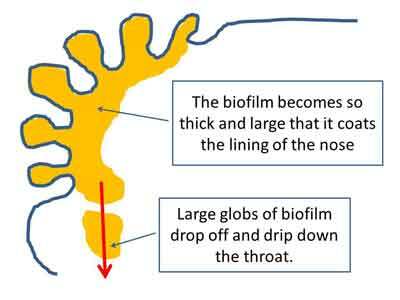 This biofilm protects the bacteria within it and allows it to grow and cling to the lining of the nose. There are many different reasons why someone may develop catarrh, and identifying the cause is an important first step in the treatment of this annoying problem. 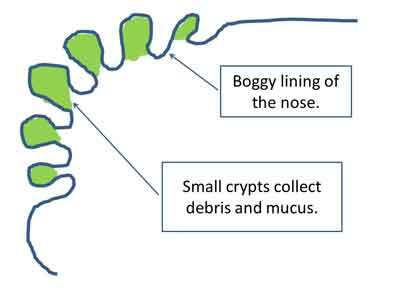 Once the causes of catarrh have been identified, treatment includes cleaning of the lining and treating it to avoid return of the biofilm. This treatment can be a slow process, but with motivation and help with the right medication and sometimes surgery, good final results are possible.